Gin-centric cocktail bar meets dive bar in an urban boudoir with craft beer and pub grub. So popular is this combination that at least a 40 minute wait is to be expected to gain entry in Scofflaw late week and weekends. They don't take reservations. 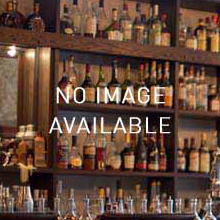 Scofflaw comprises two properties knocked into one with the bar counter backing onto what's left of the dividing wall. Hence Scofflaw literally has two sides to it. The one you enter with the bar counter is more industrial in feel, while beyond the bar, around behind, the second room is a touch more Victorian lounge with twee wingback armchairs. Bare brick walls run into plush painted panelling while industrial filament bulbs juxtapose an elegant chandelier. The flicker of flames in the fireplaces and the rhythm and blues soundtrack warm the atmosphere, while the classically-styled house cocktails warm the cockles. The eight cocktails on the illustrated menu are well-made and a mere $8 to $9 bucks a pop so it's not surprising this hip place attracts a younger crowd. Choose from a good line-up of draught beers and a selection of close to a 100 different gins, including the bar's own brand of Scofflaw Old Tom Gin - also available by the bottle to take away. The pub grub style snacks and plates are southern influenced with corn meal crusted cat fish po' boys and cheese grits among the offering. In clement months the outdoor patio is the place to be, otherwise plump for one of the armchairs in the second room.